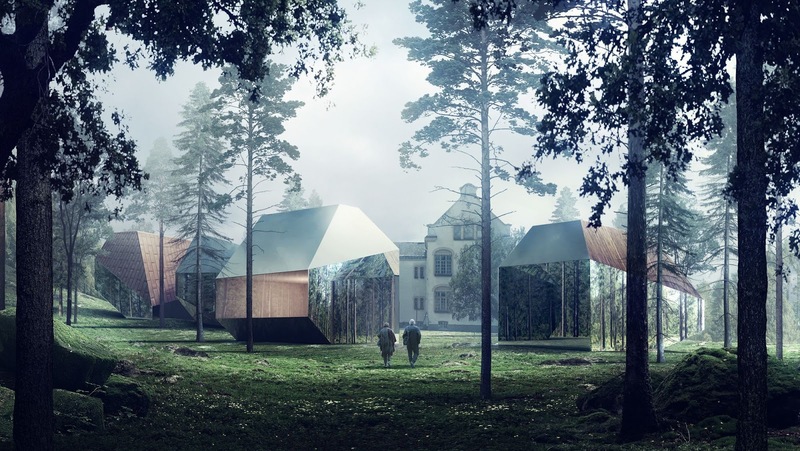 Dikemark is an architectural landmark on the verge of fragmentation. This exceptionally coherent pavilion hospital was completed in 1905. For long it was a self-sustained community with its own food and power production, laundry, bakery and workshops to support its socially rejected inhabitants. Now the 30 listed buildings show severe marks of decay. It has proven a challenge to revitalize Dikemark through conventional processes. 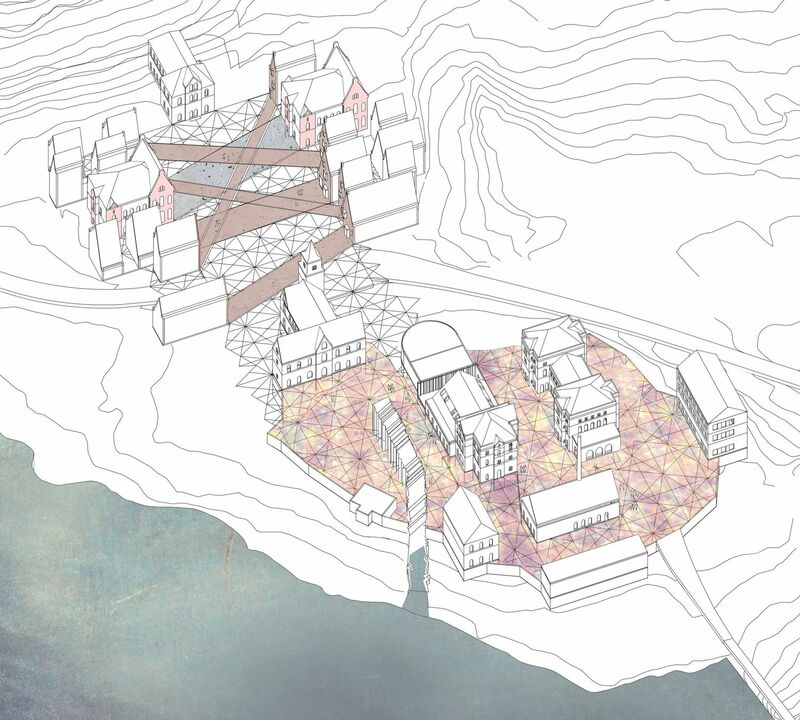 The competition is an effort from the municipality of Asker and the owners to shed new light on the complex situation. The Kaleidoscope challenges the accustomed view of Dikemark and questions the actions we take in protected environments. The project states that the uniqueness of Dikemark can only be met with equally coherent architecture. 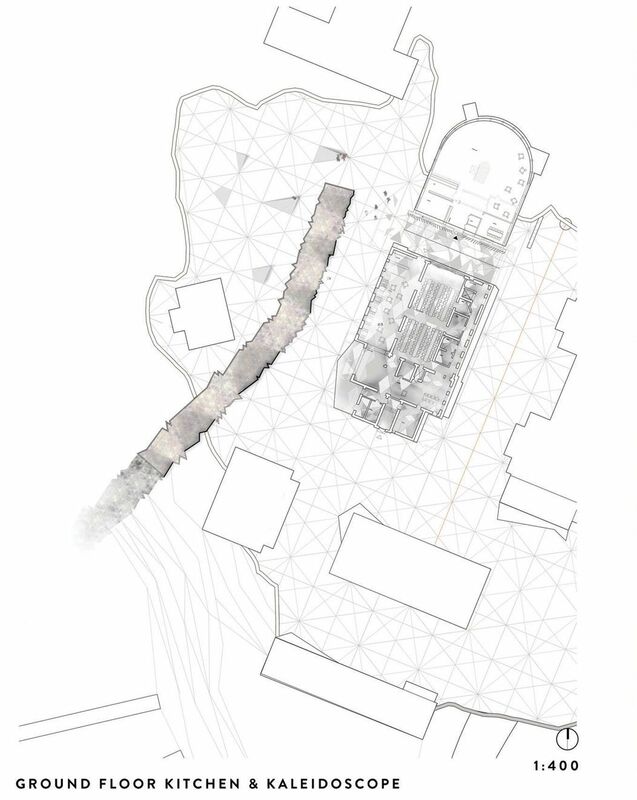 The proposal presents a thorough reading of the site and the concepts of the original design. These are further developed and re-treated in the project, resulting in solutions that rise from the existing. The site's capacity for growth is used as a driver to maintain the valuable characteristics of the area. 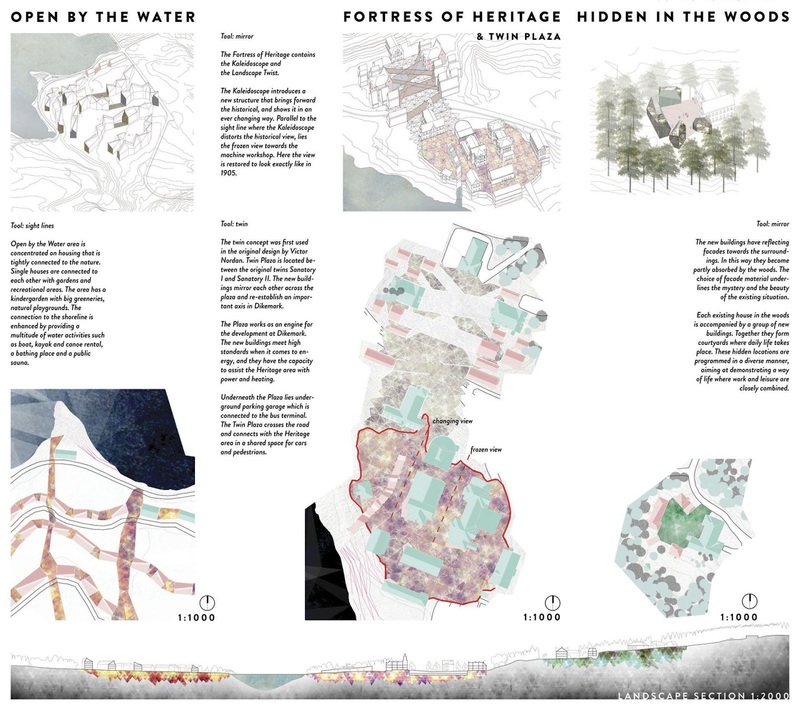 The master plan is divided in four zones differentiated by their function, level of preservation and relation to nature: Hidden in the Woods, Twin Plaza, Fortress of Heritage and Open by the Water. 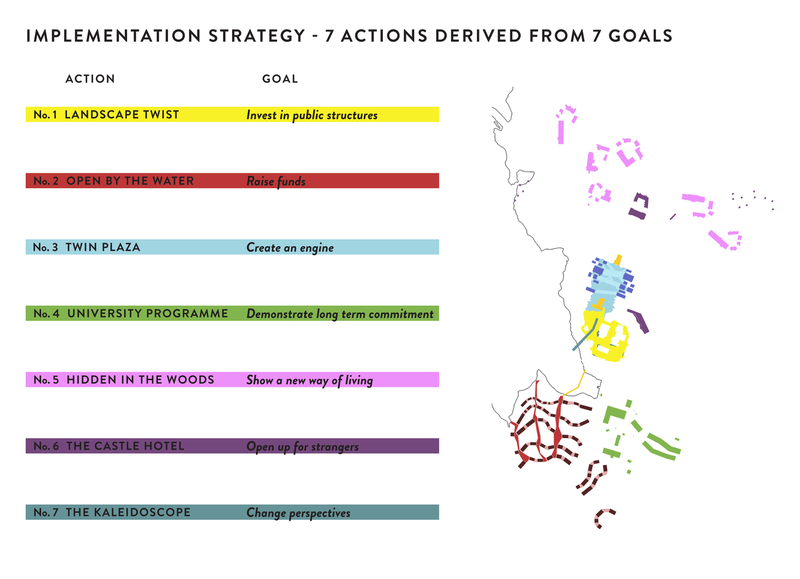 The strategy is anchored in the master plan through reprogramming the site and introducing means of financing the steps. Variations in scale, programme, privacy, ownership and degree of commitment are secured. 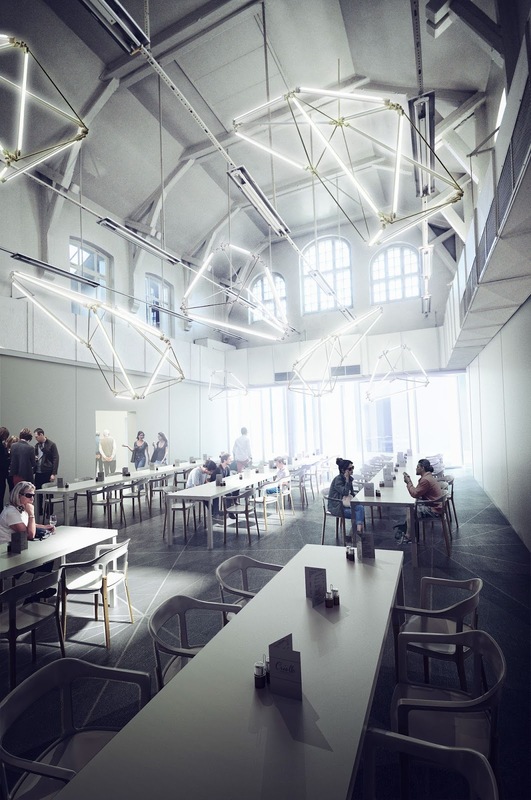 The project points out low key refurbishment of the old kitchen building as a starting point for a new social structure, demonstrating the need for a common ground at Dikemark. The financial risk in refurbishing and adapting several listed buildings for new uses is distributed and minimized with multiple end-user groups. Ultimately, to ensure continuation, the ownership structure is changed from mono to plural. 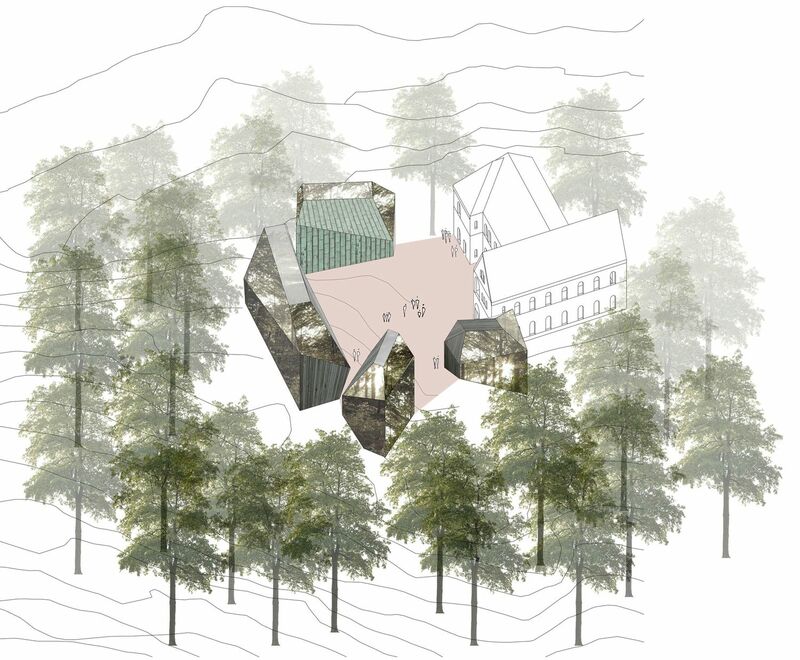 The project proposes a strong architecture that mirrors and reflects its surroundings, bringing the existing into focus and thus making a statement on the approach to built heritage. The Kaleidoscope creates ever-changing perspectives for the observer of Dikemark. Just as a kaleidoscope is a means for observing beauty in endless ways, so will the Dikemark-experience unfold in endless variations. The members of the winning Finnish-Norwegian team have worked across the Nordic region, which in itself turned out to become an organization for the process. The work was carried out through regular Skype sessions and intense working meetings. 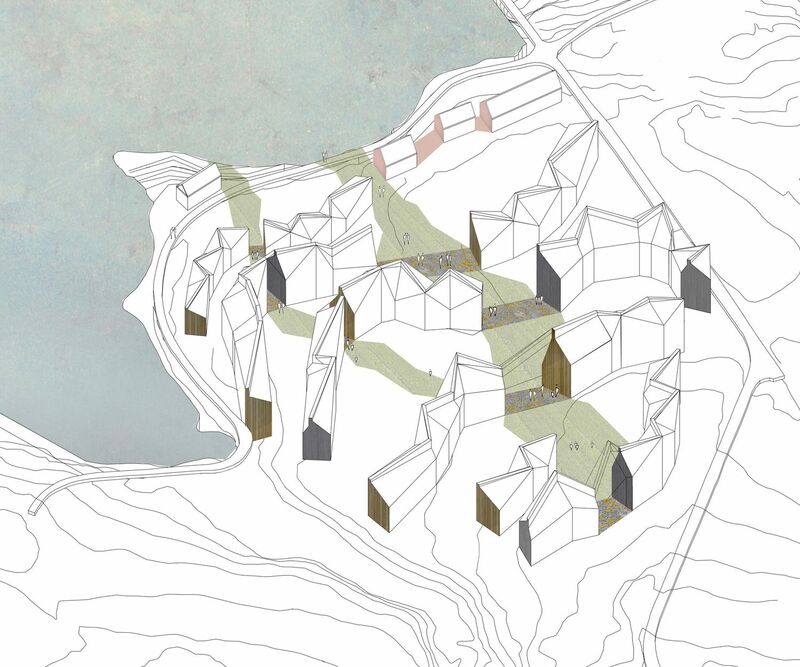 The project bears strong signs of personal presence at the site, and the content of the proposal is influenced by artistic references. 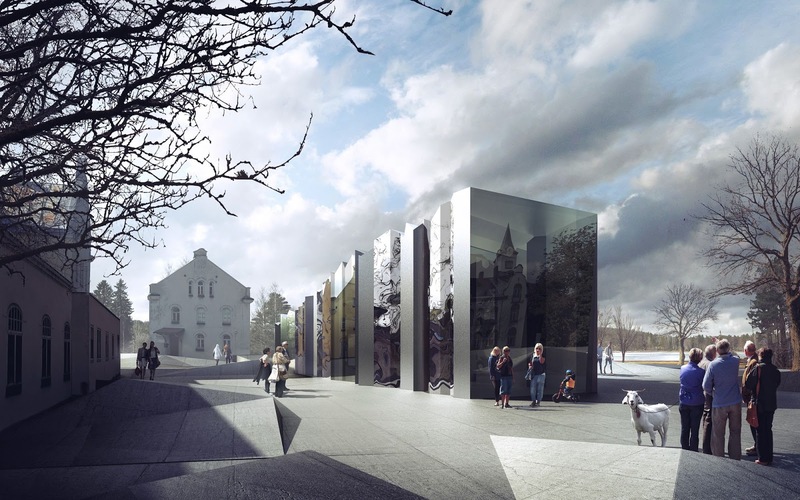 The team is in the process of starting up an office together, and the implementation work with Asker municipality, Oslo municipality and Oslo University Hospital is in progress. 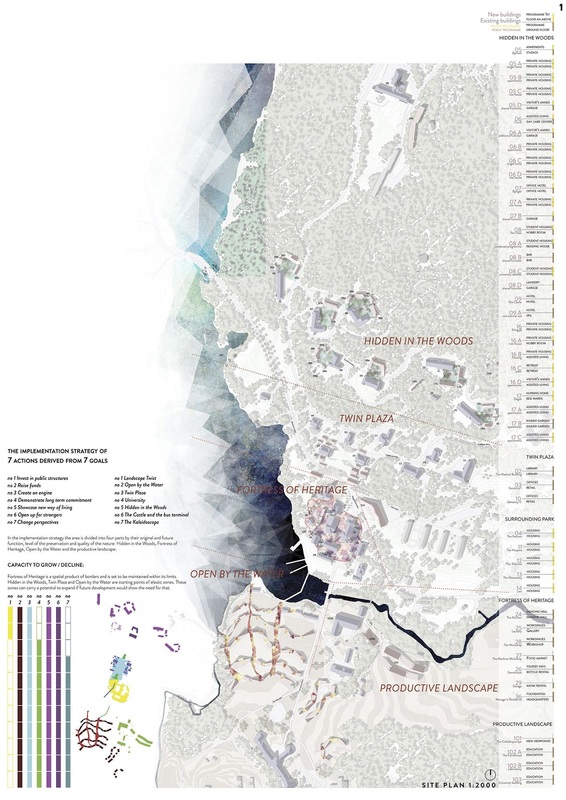 The jury, lead by the Spanish architect Beatriz Ramo, states: "The jury is convinced that this methodological approach and clear principles based on an intelligent and enlightened reading of landscape, can ensure a high quality in the transformation of this area, which is expected to occur over a relatively long period."